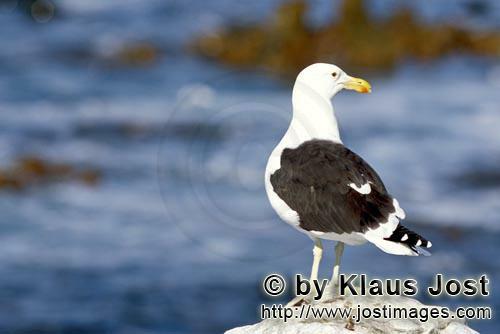 The Kelp Gull is one of the larger seagull species. Their beak is yellow with a red spot on the lower beak. The gull can take any position in the air. The Kelp gulls breed on the Antarctic Peninsula. They feed mainly on Antarctic limpet. Adults have dark eyes and whitish-yellow feet and are to be found exclusively in the coastal area.